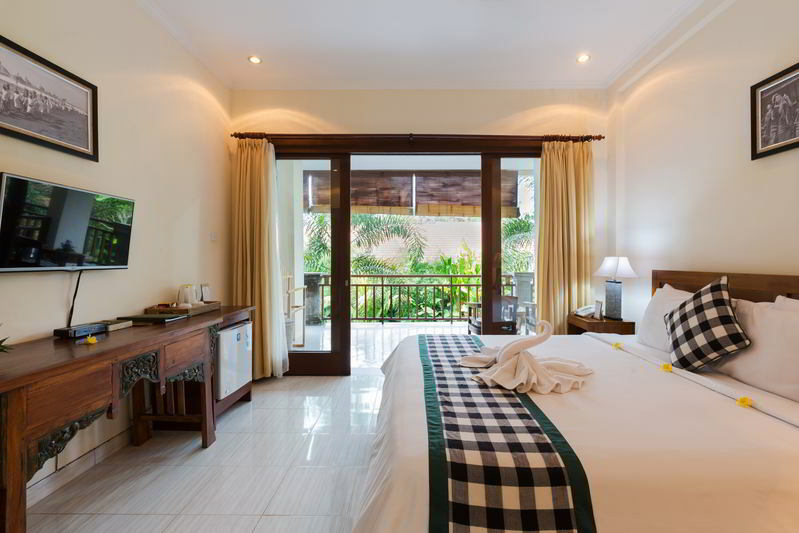 All room has designed to be able to capture best view from the room terace, all facing to main pool with greenery garden. 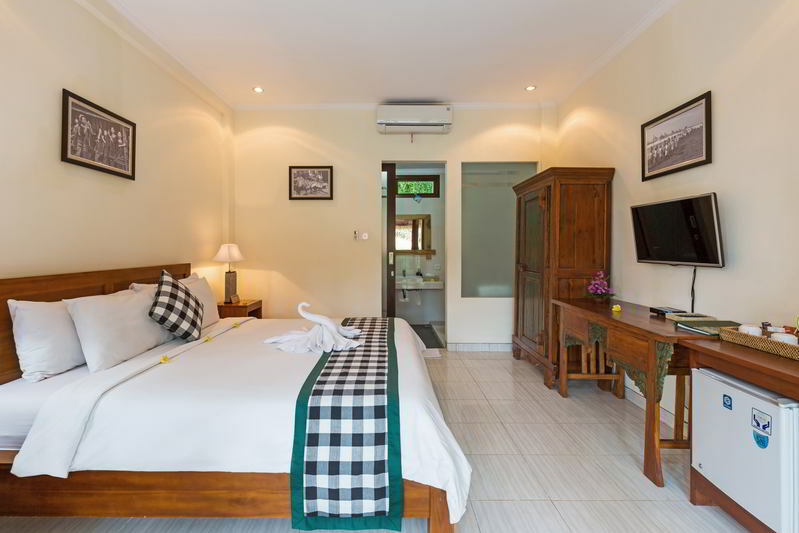 4 Deluxe room designed in higher level to get wider view of surrounding garden with spacious terace with thier coffee table and chair. 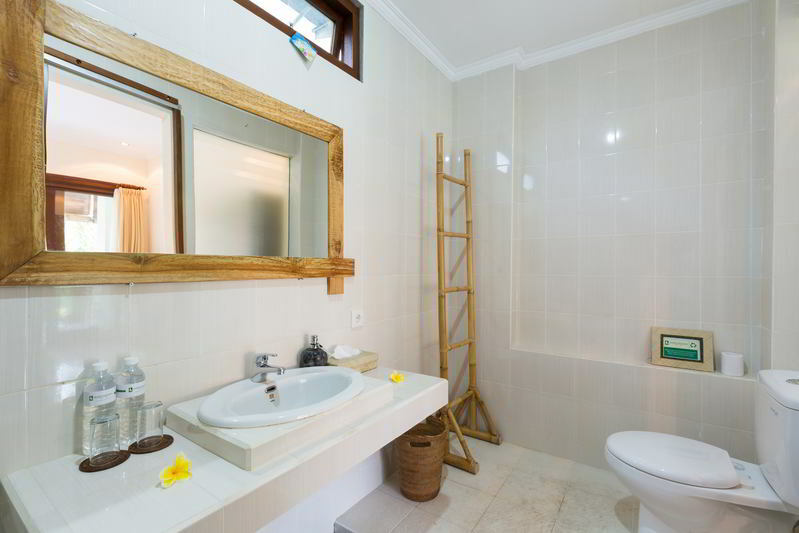 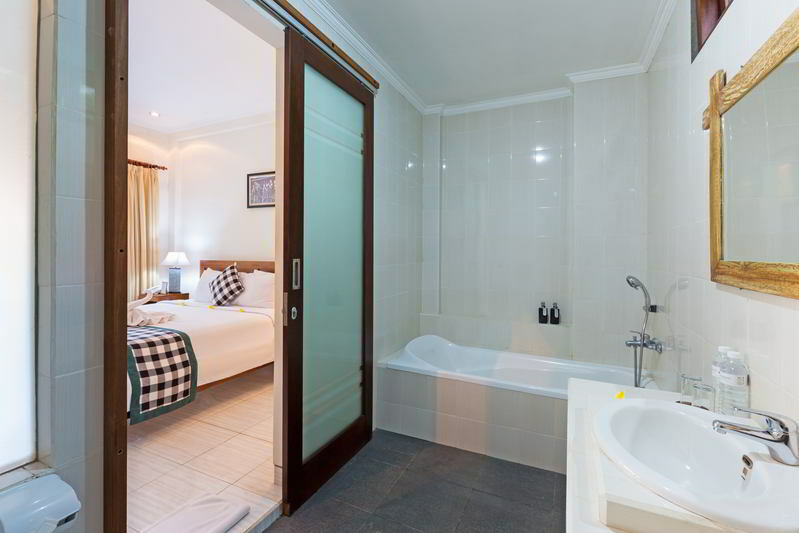 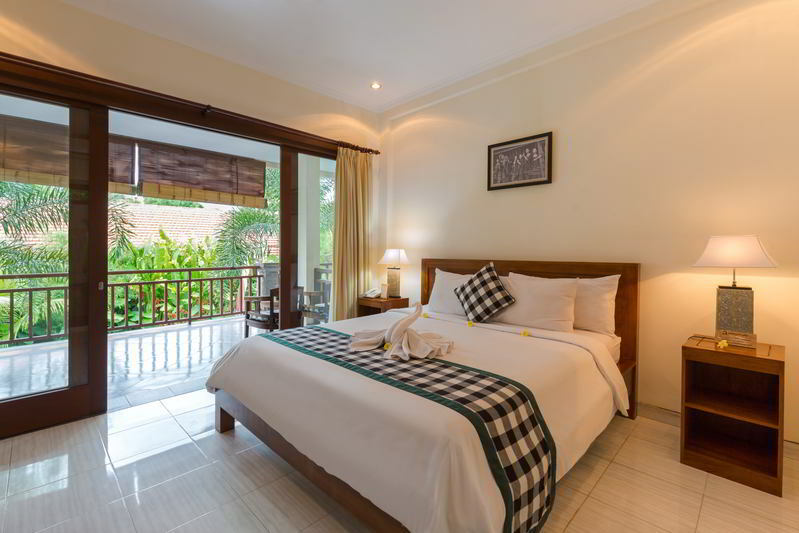 Another 4 Superior rooms designed at ground floor, guest easily can access to the main swimming pool from terace through stepping down which connected with a path way along the garden. 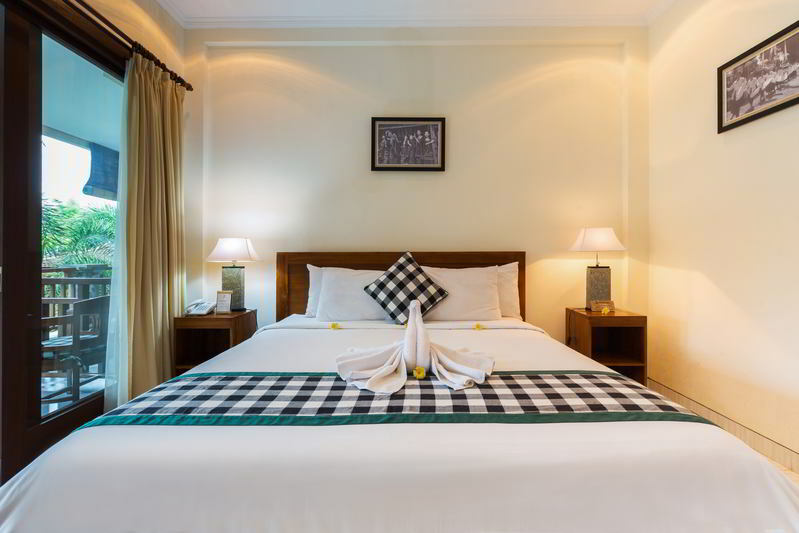 8 suite rooms are provided guest references for double room and Twin Hollywood is well set up as guest need. Spacious Terace with coffee table, in room LED Flat TV 32 inch with interntioanal Chanel, refrigerator, digital safety box, individual AC control, Well designed Bathroom with hot & cold water, Bath tub (only for Deluxe) Free hand shower, dressing table, hair dryer(on requet), toilet with hotel standard amenities usi herbal soap and shampoo. 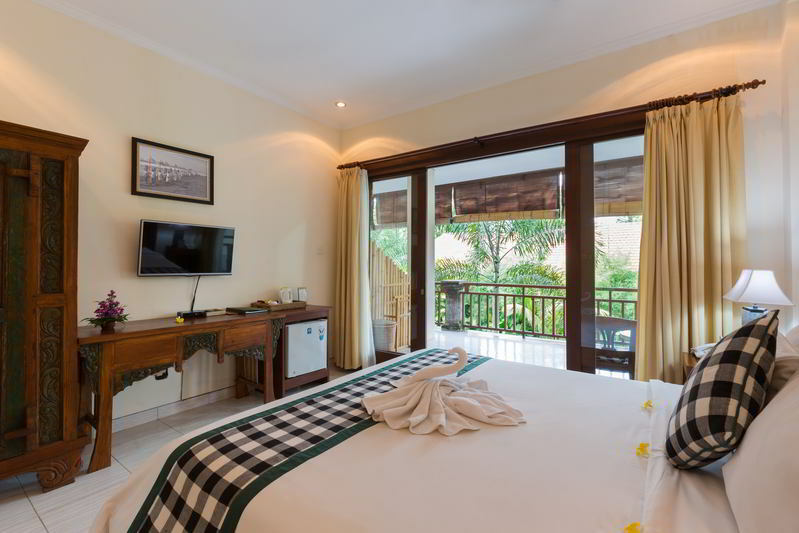 4 Deluxe rooms with total space of 32 sqm2 all completed with King size bed and well furnished with combination Balinese, antique and modern touch designed in higher level to get wider view of surrounding garden with spacius terace with thier coffee table and chair. 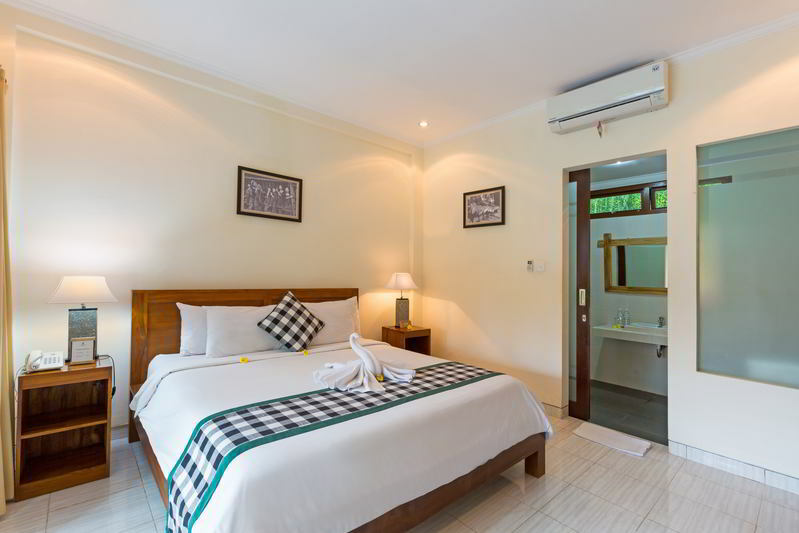 The 2 adjacent room is suitable for family. 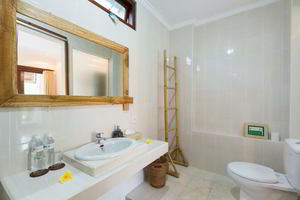 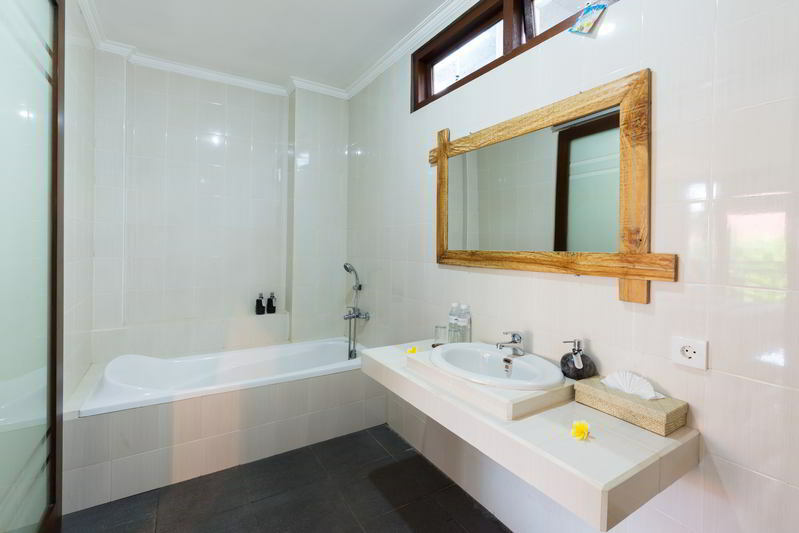 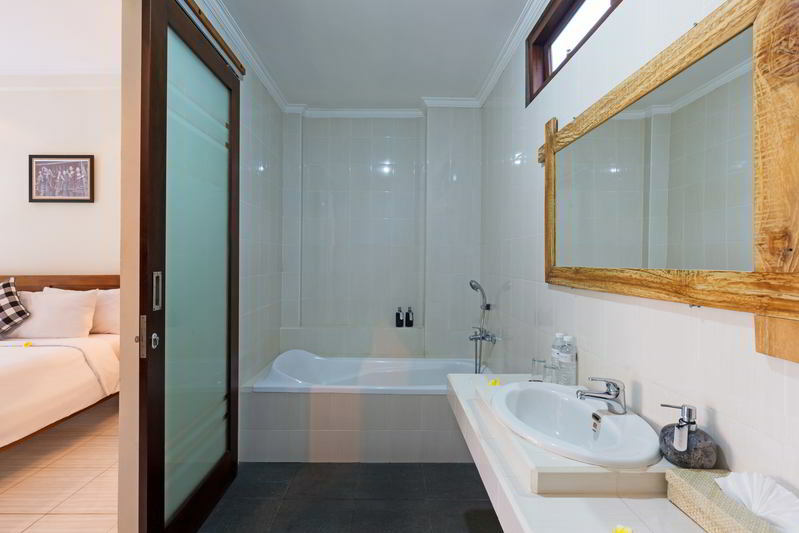 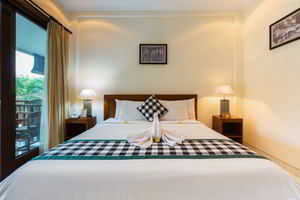 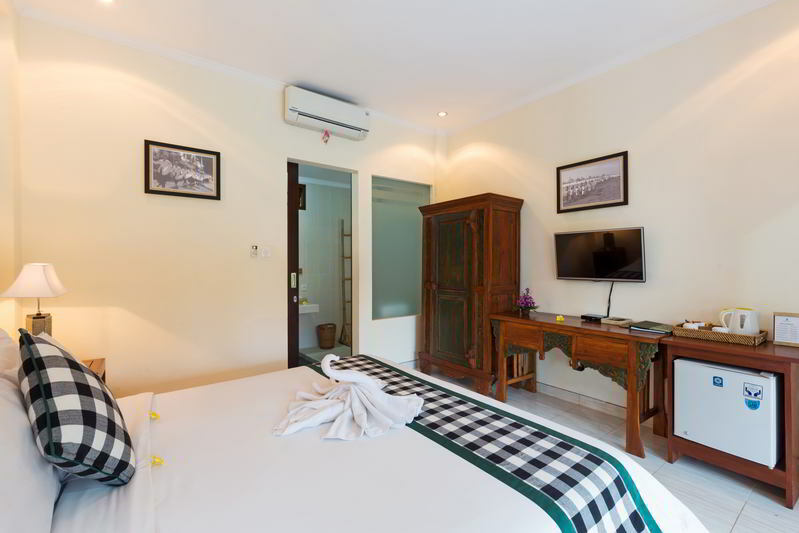 4 Superior rooms with King size bed and furnished with combination Balinese, antique and modern touch designed guest easily can access to the main swimming pool from terace through stepping down which connected with a path way along the garden.